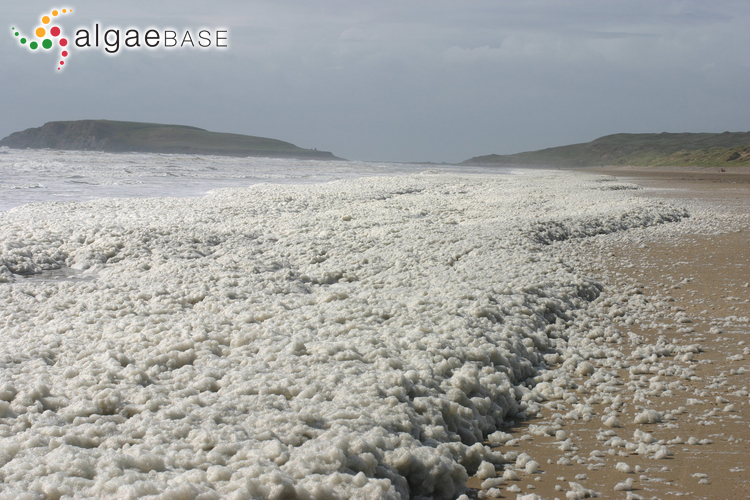 Gower Peninsula, Wales; bloom-producing accumulation of foam. 07 Jun 2005. David John. © David John (d_m_john@ntlworld.com). Gower Peninsula, Wales. 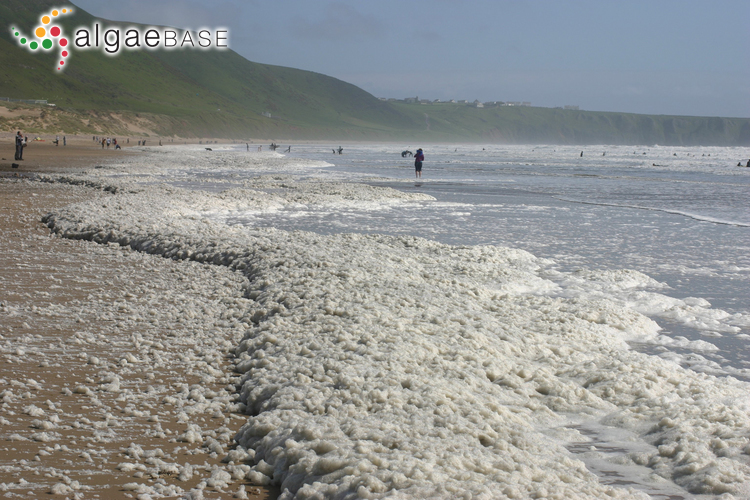 Bloom producing accumulation of foam. 07 Jun 2005. David John. © David John (d_m_john@ntlworld.com). Published in: Lagerheim, G. (1896). Über Phaeocystis Poucheti (Har.) Lagerh. : eine Planktonflagellate. Öfvers. Förh. Kongl. Svenska Vetensk.-Akad 53: 277-288. This is the type species (holotype) of the genus Phaeocystis. Type locality: North Atlantic (along the coast of Norway from the Lofoten Islands to Varangersfjord) (Silva 1996-to date). Lagerheim, G. (1896). Phaeocystis nov. gen., grundadt på Tetraspora Poucheti Har. Botaniska Notiser 1893: 32-33. Accesses: This record has been accessed by users 5681 times since it was created. Brussaard, C.P.D., Thyrhaug, R., Marie, D. & Bratbak, G. (1999). Flow cytometric analyses of viral infection in two marine phytoplankton species, Micromonas pusilla (Prasinophyceae) and Phaeocystis pouchetii (Prymnesiophyceae). Journal of Phycology 35: 941-948, 5 figs. Chang, F.H. (1984). The ultrastructure of Phaeocystis pouchetii (Prymnesiophyceae) vegetative colonies with species reference to the production of new Mucilaginous envelope. New Zealand Journal of Marine and Freshwater Research 18: 303-308. Jacobsen, A., Bratbak, G. & Heldal, M. (1996). Isolation and characterization of a virus infecting Phaeocystis pouchetii (Prymnesiophyceae). Journal of Phycology 32: 923-927, 4 figs, 2 tables. Veldhuis, M.J.W. (1987). 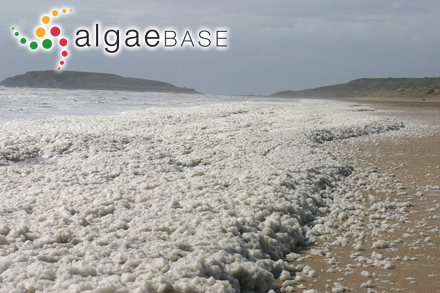 The eco-physiology of the colonial alga Phaeocystis pouchetii. Rijksuniversiteit Te Groningen : 1-127. Weisse, T. & Scheffel-Möser, U. (1990). Morphometric characteristics and carbon content of Phaeocystis cf. pouchetii (Prymnesiophyceae). Botanica Marina 33: 197-203.